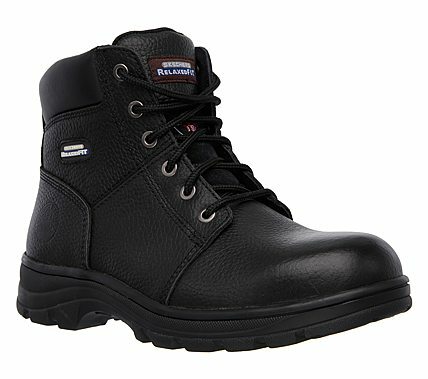 Enjoy your day in well protected comfort with the SKECHERS Work Relaxed Fit® - Workshire ST boot. Smooth full grain leather upper in a lace up steel safety toe ankle boot with stitching and overlay accents. Oil resistant traction rubber outsole. Memory Foam insole. EC Specific Edition.